Oxygenating Supplements - Remedies to promote oxygenation are important for general health and especially in efforts to overcome cancer. The best two we have become familiar with (and they work synergistically) are Zell Immunocomplex and Organic Germanium. Zell Immuncomplex promotes the uptake and use of oxygen by the cells via special respiratory enzymes. It also has other factors that are very effective in helping the immune system to function in a strong yet balanced fashion. 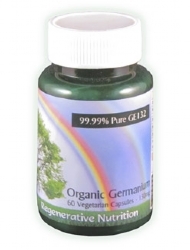 Organic Germanium facilitates improved oxygen status throughout all body tissues and fluids; so there is more available to be delivered to the cells. 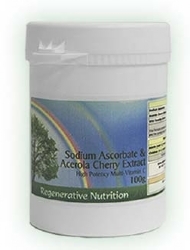 It achieves this by neutralising acid radicals, that cause oxygen depletion, by means of electron donation. If iodine supplementation at the suggested levels comes too late and cancer has progressed to metastasis, then the further spread can be halted by strengthening the connective tissue with the addition of adequate thyroid hormone and collagen supplements as detailed below. Glandular Thyroid Hormone (GTH) – We do not currently supply this, so a good example product, from grass fed cows in New Zealand, can be found here. Usage levels are very personal and the amount to use is subject to personal trial. Suggested would be the dose that gives best "feel good" state. GTH is especially important in the second phase, when Cancer is spreading outside of the original site (includes metastasis) as discussed in the book Breast Cancer and Iodine: How to Prevent and How to Survive Breast Cancer by Dr. David Derry. Quoting from the book: "The second part, which involves the spread of cancers cells through the connective tissue and including metastatic cancer, are related to low tissue thyroid hormone levels. Anywhere the connective tissue defence is strong, cancer cells cannot travel in the connective tissue and will stay within the same compartment and probably die of old age". 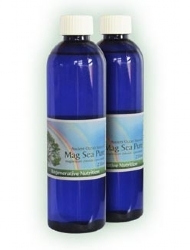 Other remedies that are high on the multitudinous list of supporting remedies include Magnesium Chloride, which is good for general health and the immune system and is simply rubbed into the skin once or twice daily. Selenium is also recommend as this works well with Iodine, especially in its role of thyroid health and is often mentioned in literature as a powerful immune system aid and anti-oxidant support nutrient. 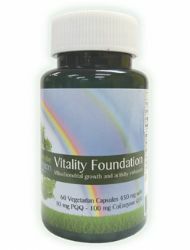 For extensive information on cancer; see the article Cancer Helping To Win The Battle With Nutritional Therapy. Generally for Breast Cancer we suggest prioritising the information on this page and not getting distracted with too many remedies and approaches. 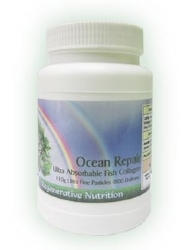 It does, however, make good sense to use Ocean Repair and Vitamin C from the outset; not only for the protective roll of strengthening collagen, which takes time, but also for their general health and immune supporting actions. The supplements recommended for the treatment of Breast Cancer are listed below. Not all will necessarily be discussed in the article, as some may have been added after the article was posted. If a listed supplement is not mentioned within the article, or you wish to know more about any of the listed supplements, you can find out more information by clicking on that supplement below. You can also now add to your basket directly from this page.